Basically, most of us view our entire existence in the physical world based on our logical thinking through our familiar five fundamental senses that limit our understanding of the spirit world. Yet once, David Bohme, the famous Quantum Physicist had said that life and intelligence do not only exist in matter, but also exist within the very fabric of the entire Universe as a Whole. Hence, when we refer to the universe as a whole, it means that it does not only refer to the existence of the physical matter but it also refers to the inner core of human consciousness, the pure energy that holds our thoughts, feelings and experiences as a unique geomagnetic field that originates from the universe itself - the source of life. Unfortunately, the existence of spirits that exist in the form of pure energy is beyond the comprehension of human logical thinking. Therefore, in order for us to realize and understand the existence of spirits that exist within our domain, we must understand the basic nature of spirit existence, in that they exist in the form of energy that is able to change into multi-configurations of energy patterns, and we must not be trapped in orthodox thinking that is confined within the law of physical matter. Moreover, the fact is, the spirit holds dual citizenship in that they can exist both in the physical world and in the spiritual realm simply because they have no physical body but exist in the form of energy vibrations. In addition, the spirit exists in the form of pure energy that is truly a copy of The Divine light image that cannot be destroyed but may change its configuration instantly according to its needs based on the cause that stimulates its vibrations. However, most of us may wonder if the spirit really does exist, because we are unable to see them physically. Yet, it doesn’t mean they don’t exist. Hence, I would like to point out why we cannot seem to see the existence of spirits (pure energy) with the naked eye – it is because we are looking at their existence from the fundamental nature point of view that is limited to our five senses, or that we only may accept that logic in our minds that is based entirely on the familiar three-dimensional world of physical matters that has been assumed by human perception since the days of Isaac Newton. Moreover, scientists of physical matters do not believe in the existence of matters that are beyond its scope because such matters exceed the law of logical thinking. Yet at the same times Bohme emphasizes that dividing the living and non-living is completely meaningless in the integrity context of quantum reality. In other words, the physical matter that is the outer shield of human consciousness is equally important as those of the universal consciousness because the fundamental nature and logical thinking enable us to experience the true love that shapes our personality based on the law of cause and effect within space and time. Nevertheless, not only our fundamental perceptions have an impact on how we perceive the existence of spirits but in fact most of the time, our minds are clouded with our daily life’s problems that have great impact enough to reduce our awareness of our surroundings, instable emotions or perhaps we tend to view the existence of spirits as demonic. Yet however today, the work of modern quantum physicists, other branches of science and the work of paranormal science research seem to have similar views on the existence of the living energy and consciousness that exists at the higher levels of existence that certainly challenge the perceptions of most people. Therefore, scientific tools such as the camera or the video camera can help us view the existence of what we seem to think does not exist. In fact, without the tools mentioned, we are still able to see unseen beings with the naked eye, provided that we have mastered the art of the power of concentration. Similarly, in the paranormal and ghost research field of investigation, positive thinking and visualization are equally important because both of these can help us to concentrate and feel the existence of spirits. In fact, applying the Mind-Body-Soul Concept during field investigations has not only enabled us to see or hear voices/movements but also to feel the energy of the spirit existence. In addition, since we belong to the universal consciousness and the entire universe is part of our existence therefore, every one of us is linked together along the axis of universal love. Moreover, understanding the concept of the ‘respect for the dead’ holds the meaning of acceptance and love that create positive energy that not only makes us accept the presence of spirits more easily but which also makes spirits accept us just as easily based on universal love. Furthermore, in order for us to attain a high degree of understanding on spiritual consciousness, we need to think differently from what logic tells us, as logic is confined within the law of physical matters. In that way, our spiritual consciousness would then be reawakened because universal consciousness is beyond the comprehension of logical thinking. Hence, understanding the concept of quantum reality will enable us to understand the existence of spirits of low density that are able to vibrate at the high rates of vibrations as well as manifest into multi-configurations of energy patterns. 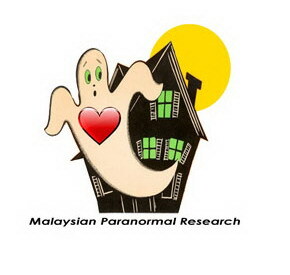 Unfortunately, this living energy at the same times generates doubt among paranormal and ghost researchers when its manifestation is printed on photos or recorded on video cameras, simply because they lack the understanding of the truth behind spirit existence. Nevertheless, when we only want to see ghost photos that look like human beings and put the rest aside, it is simply a sign that we lack understanding of the concept of spirit existence because that understanding is based on logical thinking that is confined within the law of physical matters. Perhaps it is about time for us to move inwards into our inner soul where the pure energy – the core of our existence which resides in us and is able to vibrates and merge with the universe consciousness, has fully understood the energy pattern that is related to the existence of spirits, so that we would no longer have any doubts in accepting spirit existence. Therefore, we will care, love and respect them so much in whatsoever form they may exist in, all because we better understand these departed souls that have returned and merged with the universe consciousness through our understanding of the concept of quantum reality.